EXCLUSIVE / An ex-UK Independence Party (UKIP) MEP says that the party’s climate change scepticism was callow and so eccentric that party press officers often had to contradict the views of its climate spokesman, Lord Monckton. “The policy was very rudimentary and their [climate change] position was very amateurish,” said Marta Andreasen, who left UKIP to join the Conservatives in February. "Climate change is not a reality for UKIP,” she added. As well as advocating a UK withdrawal from the EU, UKIP contends that global warming is an unproven hypothesis leading Europe to disaster, and that "fossil fuels are the future". The party’s former environment spokesman in the European Parliament, Godfrey Bloom, lists a shareholding with the oil and gas company Shell in his members declaration of financial interests, although this only amounts to £3,000, he told EURACTIV. An ardent opponent of green politics, Bloom has condemned Greenpeace for forcing Shell to scrap plans to dispose of the Brent Spar oil storage tanker at sea. In 2010, he was filmed congratulating the French security services for blowing up the Greenpeace ship the Rainbow Warrior 25 years before. But Andreasen said that she doubted whether UKIP had received any funding from the energy intensive sector, and UKIP too denies this. 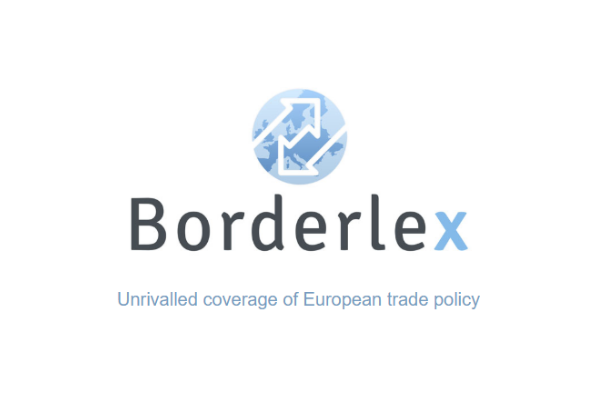 “If they really had somebody financing this, they would have done it better,” she told EURACTIV. “The typical [people] dealing with climate change were the MEP Godfrey Bloom and Lord Monckton, who was seen even within the UKIP as eccentric,” she added. 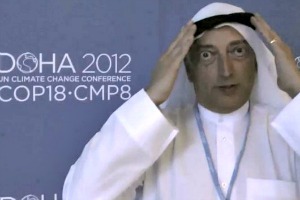 Monckton famously dressed up as a Bedouin and occupied Burma’s seat at the UNFCCC climate summit in Doha last year. He lectured delegates about the lack of global warming in the last 16 years for about a minute before being ejected and banned from future UN summits for life. Bloom’s environment spokesman post for UKIP was recently taken up by Roger Helmer who, in 2009, accused the Church of England of having "abandoned religious faith entirely and taken up the new religion of climate alarmism instead". But Bloom, a financial economist by trade, is still a substitute member of the European Parliament’s environment committee, and an influential voice on climate policy within UKIP, which currently polls 17% in British voting surveys. Contacted by EURACTIV, he dismissed Andreasen’s depiction of UKIP climate policy as “one of her usual rather wild accusations”. “She has never expressed any position on climate change in all the years she’s been with us so I am not sure where she’s coming from,” he said. Bloom argues that the EU’s “disastrous” shift to renewable energy endangers the security of electricity supplies, and calls for a Royal Commission to examine climate science. However, Kevin Trenberth the lead author of the 2001 and 2007 IPCC scientific assessments on climate change told EURACTIV that the panel had not made any statement on global warming over the last 15 years. A draft IPCC report to be published next year though would contain “multiple statements” reflecting global warming in that period, he said. After installing a new computer model in January, the UK’s national weather service did round downwards a global temperature projection for the period up to 2017 by 20% – from 0.54C, to 0.43C above the long-term average. However, “this means temperatures will remain well above the long-term average and we will continue to see temperatures like those which resulted in 2000-2009 being the warmest decade in the instrumental record dating back to 1850,” a Met Office news release said. Its analysis was backed by the World Meteorological Organisation. Even so, surveys indicating that at least 97% of scientists attribute global warming to greenhouse gas emissions should not be used to silence dissenters, Bloom says, citing the 16th Century scientific consensus against Copernicus. “We regard this as not unusual in the weather cycle over the last 8,000 years,” Bloom said. Much of the scientific underpinning for UKIP’s climate scepticism comes from Ben Pile, a part-time researcher, who contributes to the contrarian Spiked journal, and runs an anti-environmental blog called Climate Resistance. A Guardian blog investigation raised questions about the source of Pile’s £2,000 a month salary after documents submitted to an appeal against building wind turbines in North Devon, which is not Bloom’s constituency, claimed that he was contracted to the Europe of Freedom and Democracy (EFD) Group. “I am certainly not an amateur,” he said. A global scientific consensus holds man-made greenhouse gas emissions responsible for global warming. But a small band of sceptics contend that there may be no warming beyond normal climatic variations and/or that solar activity could be responsible for empirically demonstrable climate change. Environmentalists say that such positioning has often been advanced by researchers with funding links to sources such as the Charles G Koch Foundation, Exxon Mobil, and the American petroleum Institute. As one who has never been in any Political Party or Organisation, and never will be, I can say that I believe you are both wrong to quit UKIP and join the Conservatives, especially on such a matter as Global Warming Brrrr! or as it is now called “Climate Change”. The weather can now be controlled from HAARP which I am sure you already know about. And WHO exactly is in charge of that? EXACTLY! All three major Political Parties want to remain in the EU-FOREVER. So why should the people continue to vote or pay them through their taxes? The people certainly cannot continue to contribute towards FOREIGNERS governing this Country for our Constitution forbids us to do that plus we fought the last war to prevent exactly THAT. Come the next General Election the people are going to use it as the REFERENDUM they have been denied and only vote for those Organisations that actually want to govern this Country according to its Constitution and true FREEDOM from Foreign Rule. Marta deserves to be an MEP because of her opposition to corruption in the EU. UKIP are a bunch of nutters, but the Tories aren’t much better. The speed with which the Arctic sea ice has been melting has convinced me that we are heading for a 5 or 6 degree centigrade rise in global temperatures by 2100. Those who predicted a lower rise in global temperatures have, over the last six months, cut half a century off their prediction of when the permanent sea ice will disappear. Many scientists think global warming will cause such a large drop in food production that civilization will collapse. The EU should spend a large amount of money on educating people throughout the world on the dangers of global warming. It should also threaten to introduce economic sanctions on countries producing the most CO2 pollution. This will severely damage Europe’s economy in the short term, but that’s nothing compared to the longer term horrors we will face from global warming. Environmentally, I don’t know why. Behind those clouds of grey. But what if the sun burnt itself out? What would warm us up then? What if it exploded? Blew itself up? Turned day into night again? Out of sight of our earth one day? What would politicians then say? We knew of, in ‘global warming’ days. We paid to save our world? Where is the “global warming” now? As my story starts to unfold? But nothing in its place we give. But to be spied upon, bugs in bins? Make a mistake, an on the spot fine? Its what a dictator would have done? Of dry-ice, and the need to fuss. Surely it wasn’t all a lie? I’m afraid Trenberth is misinformed about the coming and going of Arctic ice as a natural phenomena. There are 5 M yr old fossil trees in the Arctic that had a mild enough climate to grow 20 metres tall. The ice started about 4 M years ago and as recently as 6-8,000 years ago, it was believed to be very open for much of the summers. There’s a number of science papers on it and NASA website noted it too. Even over the course of the last 150 years it’s had huge swings and there’s a trove of newspaper reports about its comings and going. It’s appalling that Trenberth knows so little about it, but is certain he’s right. That’s the IPCC mantra obviously. Shame science has eroded so much. Those who still believe that the climate changes we see are man made are foolish beyond reason and are merely crying the mantra given to them by Al Gore who is already well established as a conman. There IS climate change but it is driven by the sun also an established scientific fact. Chris Monckton is a hero as are people like him that are not afraid to stand up. Speaking the truth is a revolutionary act in the face of tyranny. climate change is a reality, its called mother nature.I should think if it has anything to do with anything, it could be them little old bombs they periodically let off in the southern hemisphere.If it is that important then fossil fuels should be rationed,not have a monetary value at all. Better still how about birth control,its easy less population means less material needs,job done. Climate change is a reality writes Paul. Is it REALLY? Should you think I jest or take lightly anything I write about, think again because all is based on research. Below is part of an article from the EU. Check up on it for yourself. HAARP can be used for many purposes. Enormous quantities of energy can be controlled by manipulating the electrical characteristics of the atmosphere. If used as a military weapon this can have a devastating impact on an enemy. HAARP can deliver millions of times more energy to a given area than any other conventional transmitter. The energy can also be aimed at a moving target which should constitute a potential anti-missile system. END of Quote. It is a long paper, but read the whole for yourselves, if you are interested. My goodness the comments on here are heavy on unsubstantiated opinion and very light on accuracy. For “A” you may be surprised to actually find that our measurements of the Arctic ice extent only started in 1979 with the launch of the first satellite designed for that purpose. Prior to that, “measurements” were inaccurate but that didn’t prevent the low ice extent to allow the first wooden boat to make the Northwest Passage voyage in 1904 by Amundsen. Also, the ice extent isn’t even at a record low since that 1979 satellite started measuring. You find the information on any one of several measuring agencies websites. I’d suggest not parroting some AGW alarmist nonsense when the facts are so easy to find. For “Paul Cruttenden” I can only guess you’re being sarcastic. Govt rationing of fossil fuels and forced birth control is what the communists did. Between Stalin and Mao, some 120 million people died – hardly a reasonable solution. For “Anne”, I think you’ll find that idle speculation by science fiction proponents for death rays is best left in Hollywood. It bears no semblance to reality, nor to our climate. What you might wonder is, why after $80 billion in expenditure on study, there’s not a single empirical study that has shown that increases in CO2, cause increase in temperature. What you’ll find instead is supposition, leaps of faith, and computer modelling projections. You shouldn’t be surprised to see the UK Met office recently issued statements that there’s been no warming in the past 17 years and that conclusion being backed up by NASA pronouncements too – all the while CO2 has risen. The theory is dead. The climate is far too dynamic and chaotic to be so linked to the whim of a trace gas. The things people will say to justify a stupid decision. Just for everyone’s information, and its all out there to be found but takes effort, its now almost certain that greenhouse gas theory is bumpkin and has nothing to do with how warm the earth is. After the many billions in expenditure not one single piece of unequivocal empirical evidence is available that demonstrates the greenhouse theory. It has been demonstrated by real data and theorised by Ned Nikolov, Ph.D. & Karl Zeller, Ph.D. that the temperature of an atmosphere is dependent on 2 things. Distance from the sun and atmospheric pressure. Ironically CO2 has played the major role in modulating the average temperature on earth. For 90% of the earths history there has been no ice on the planet and for example during the age of the Dinosaurs peak 120m to 150m years ago the temperature at the poles was similar to that at the equator. This was because the atmospheric pressure was much higher. We can surmise this because it is physically impossible for dinosaurs to grow so large in a 1 bar atmosphere as they would not be able to support themselves. We can surmise that the gas that made up the bulk of the atmosphere when it was between 5 to 10 bar was CO2. This would have enabled the explosion of growth that provided all the food for such large bests. So any notion that adding a few hundred parts per billion of CO2 will cause catastrophe is nothing short of ludicrous. Today we continue to fuss over changes of a tenth of a degree of earths average temperature. These changes on historical time scales are caused by nature. The Sun is the obvious one, the ocean cycles, and planetary orbits have an influence. On geological scales it the moon and volcanic activity as well as our orbit through the Milky Way. Another point. Throughout earths geological history life has used up all the CO2 to the point where there have been mass extinctions. When life dies out volcanoes replenish both CO2 and water. At the end of recent mass extinctions we have had an ice age because with no CO2 there is no life and little oxygen being produced and atmospheric pressure drops to levels we see today. After several million years Volcanoes will replenish the CO2 and life will bloom and the average temperature will rise due to a rise in atmospheric pressure. UKIP may not have all the facts correct, but they are closer to the truth than the Tories who are way off the mark. I find it very interesting indeed to find that each one that has contributed to this article, believes THEY are right and all the others quite wrong. SHELTER is a grassroots level government registered NGO working from 2000 in Bangladesh and works in different fields like as: Research, Consultant, Human Right, Gender, Woman impairments, Agricultures, Water & Sanitation, Health, Non formal & adult Education, VGD, IGA, Baseline Survey, Social works from different development sectors, under-funded and partnership with UNICEF, IOM, GIZ, JICA, WFP , Embassy of the Federal Republic of Germany Dhaka , Government of Bangladesh, ITF UK, EVERGREEN UK, HOPE’87, ATSEC Bangladesh and Vulnerable Group Development (VGD) 2 programs under Department of Women Affairs (DWA)GOB and World Food Program (wfp) . SHELTER’s major focus is Environmental and Climate Change programs. Working with ITF UK and SHELTER Nursery. SHELTER provides Tree and Plantation to the School, Mosque and Madrasa, Garboards, Shosanghat and poor people for donation and Road and Riverbank under partnership from GOB. SHELTER also provided NEEM (Medicine) TREES all 77 Union perished, 6 Pouroshova and 8 Upozilla complexes with DC Hobigonj District GOB. Also provide environment health & education. SHELTER started an ORGANIC AGRO project as organic poultry, fishery, duckers, vegetable, agro forestry and cow firm project under SHELTER HOBIONJ PROJECT. We’ve also work for HIV/AIDS & Women and Child trafficking programs under IOM & technical support from ATSEC Bangladesh. SHELTERS have good experiences of Trafficking programs under PPVHT-B Project with IOM partnership. SHELTER have own Nursery and product wood, medicine, fruits, flower and other species plants. 3 luck 20 thousand product capacities Nursery Project from 2007 and continue under Hobigonj projects. SHELTER also have own Training Center established in 2008. It’s providing skills development training IGA, ICT, sewing, poultries, fishery and other livelihood, small business and income generating training. SHELTERS now start a project of Green Initiative for Climate Restoration in Habigonj District under Theme -T5: Mitigation and low carbon development. Program: P7- A forestation and reforestation program funded by Trust Fund GOB. SHELTERS have some small projects as 80 disable child center, orprfan, street children, maternal health center for poor and poorest people area also need for livelihood, IGA, water sanitation, tree plantation for carbon reduces and non-formal primary health and education support. We need partner for permanents support those projects. May this is very small conurbation from you but it is great for you give support most vulnerable areas of mankind. In Bangladesh are largess NGO working fields we also welcome you for work in Sundarban – the world biggest mangrove and largest single block of tidal halophytic mangrove forest In Bangladesh. You may visit to get more detail at http://www.sundarban.com.bd.http://en.wikipedia.org/wiki/Wikipedia. SHELTERS need support for develop our organization performances work under your cooperation and supervision in our country grassroots level. SHELTERS welcome you or your behalf any organization’s partnership, networking member, volunteer join for work with SHELTER any country. I welcome you visit our organization and working area from your convenient time. SHELTER will arrange everything during your visit. If you need any more information about us please write us any time. Your cooperation will be highly appraised this regard. Block-C, Banani, Dhaka 1213, Bangladesh.
? Save a tree. Don’t print this e-mail unless it’s really necessary!